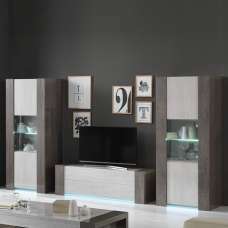 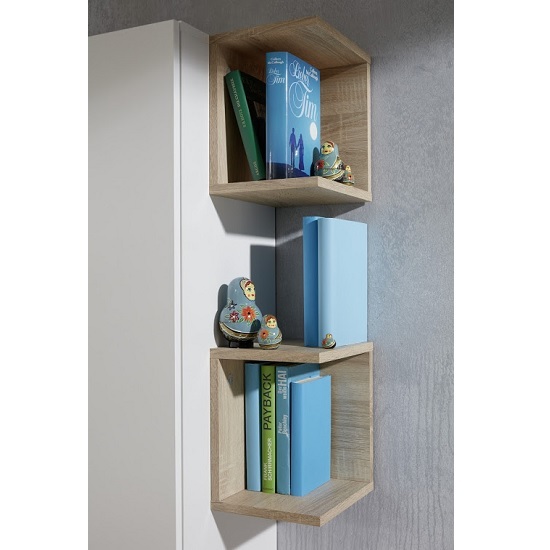 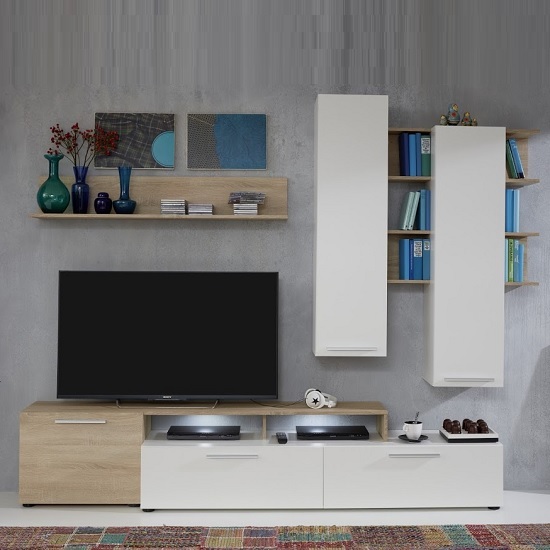 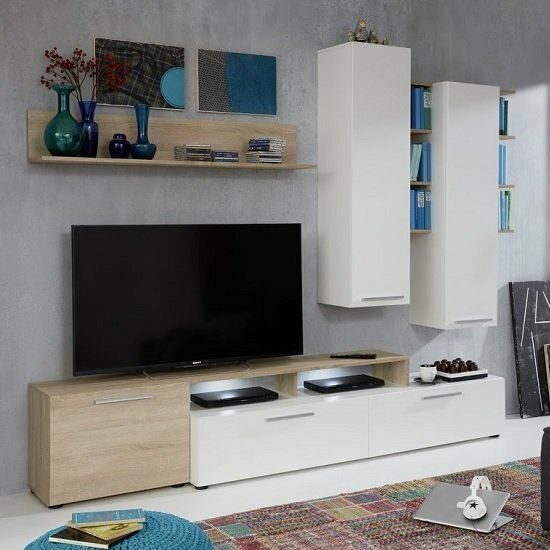 Callas Living Room Set In Sägerau Light Oak And White With LED Lighting, a sleek set, specially designed for modern atmosphere ideal for any home decor. 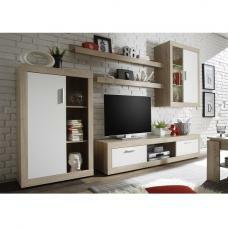 Finished in Sagerau light Oak And White. 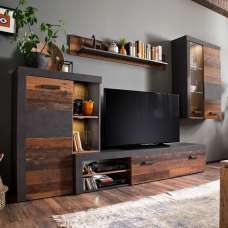 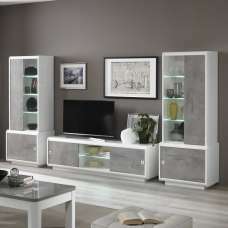 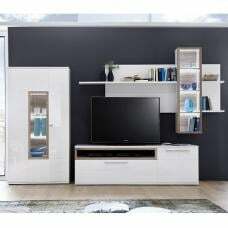 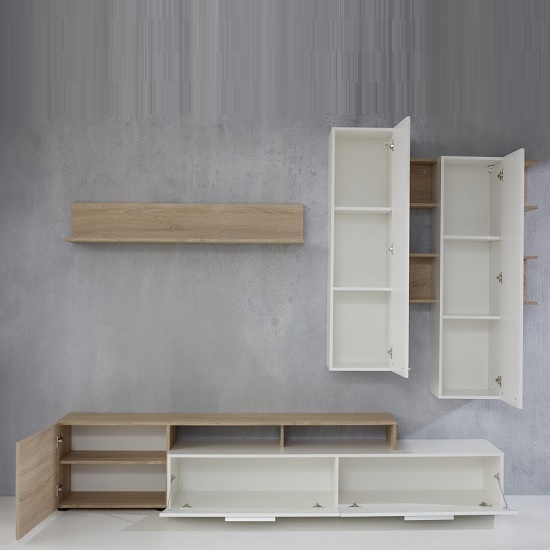 This set includes TV Stand, Wall Shelf, 2x Hanging Cabinet with Side Shelves. 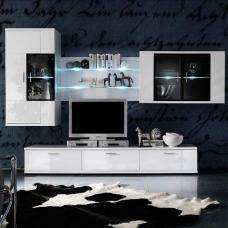 LED lighting included. 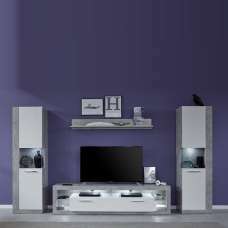 This Stunning living room set instantly styles up your rooms in urban charm.